Consumer electronics companies typically use lithium-cobalt batteries, which have a capacity of up to multiple amps. These uninterruptible power systems are equipped with rectangular lithium-manganese batteries. It has a mounting capacity of 60 amps and is equipped with a longer service life and multiple levels of fault protection. Sometimes individual modules, even individual batteries, are responsible for monitoring important performance parameters such as temperature, voltage and current. Sometimes the power cabinet or even the entire system is responsible for this monitoring process. Monitoring must be implemented to fully control the charging and discharging process to avoid critical heating and irreversible chemical procedures. Lithium batteries also have higher energy density (Wh/kg) and higher output power density (W/kg). It has a similar energy storage capacity as a lead-acid battery, and the weight is less than one-third that of a lead-acid battery. This advantage helps to reduce the total mass of the system by 60-80%. In recent years, data centers have focused on increasing their power density due to space constraints and higher efficiency operations. 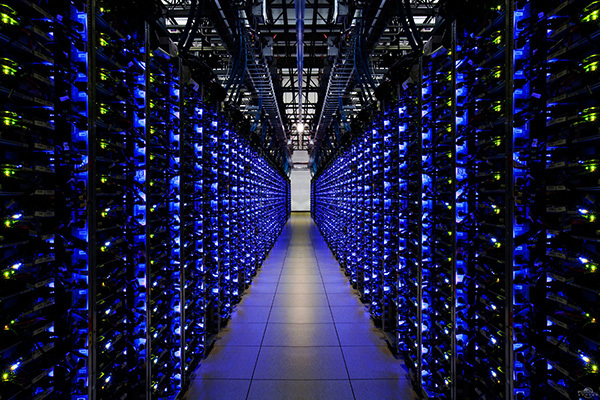 More efficient space available is one of the most important jobs for data center owners. The compact lithium battery can reduce the footprint in an uninterruptible power system by 50-80%. These batteries have less charging time and a faster rate of self-discharge, and can play an important role in the event of frequent operational interruptions. When idle, lithium batteries lose about 1-2% of their electricity every month. The most important advantage is its long-lasting service life. Lead acid batteries have a very short life span of only 3 to 6 years. On the other hand, lithium batteries last for about 10 years. Depending on the chemistry, technology and temperature, lithium batteries can be charged up to 5,000 life cycles and maintenance-free, while lead-acid batteries have an average charge efficiency of only 700 life cycles. The overall cost of ownership of lithium batteries is 10 years (average life of data center UPS), compared to 39% for lead-acid batteries. Although this is an optimistic estimate, at least a 10% savings can be guaranteed. The only serious drawback of lithium batteries is that the initial investment is significantly higher. That's why large data centers have long been a pioneer in introducing new solutions. The more important purpose of this facility is to reduce the total cost of ownership, rather than short-term profitability, even in this case, the cost savings are still considerable. In addition, the benefits of small batteries make more efficient use of available space, while a reliable monitoring system ensures superior safety and stability. Lithium batteries operate at higher temperatures than VRLA without loss of capacity and can reduce the load on the cooling system. Of course, there is even a single-phase UPS with a lithium battery. The various application models start with the largest data center, followed by industrial applications, and finally end in small server rooms or even individual racks. The life expectancy of a typical UPS system in a data center is typically 10-15 years. Lead-acid batteries can be used for 3-6 years, while lithium batteries can be used for up to 10 years or even longer. In the initial stage of use of the UPS system (less than 5 years), a large number of replacements for lead-acid batteries can prove its practicality. However, after replacing the lithium battery, it is very likely that the lithium battery can be used at the end of the UPS system life. If the user's uninterruptible power system has a near-term service life, the battery life may be longer, so in most cases it makes no sense to replace the battery. At the end of its useful life, consider replacing its complete UPS system with a new lithium battery solution. However, even for older UPS systems, it is still very convenient to install expensive batteries. Users should consider the price drop and the ratio of old system maintenance costs to full replacement costs. If you need more in-depth information, contact one of our lithium battery specialists today! If you're looking to purchase an battery, contact us anytime at (0086) 752-2819 469 or email us now !